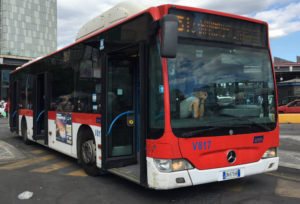 Visit Naples: Which public transport can you take? Sometimes, it’s a real challenge for a tourist moving around Naples. People who are not accustomed at the exhausting rates of the town, may find very hard moving through the places! Additionally, if we’re not figure out the right rates we could spend more that we ought to! But if we’ll relay on right means of transport we can reach every place we want! Metro is one of the most common and easy to use means of transport . 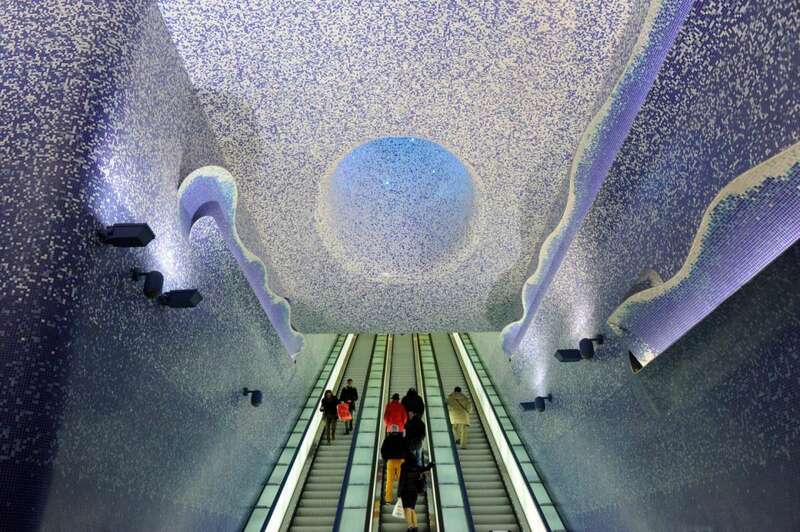 It’s not by chance that everyday thousand of people take the metro to get to any places of Naples. 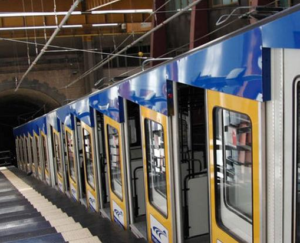 Thanks to its many lines and wonderful stations (on the picture you can see the amazing Toledo station) it will possible to visiting the whole city! 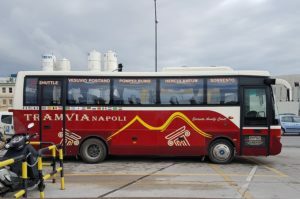 Buses are a very good option to move around Naples and have full sight of the city streets. There are many stops at every few meters! Buses are very good also to move forward the outside areas of the city! The only plaw is their fault of punctuality. Sometimes they can be in an unfairy late and that could slow down your travel’s timetable. “Funicolare” is an amazing public transport to move around Naples! It uses at its advantage the hill structure in the city and can link the highest point of the urban area! By funicolare it’s easy to reaching the most famous shopping areas, such as Vomero and Chiaia. What about the private transport to use? In preference, you can also be more comfortable. Then you can choose a private transportation. A good choice can be a taxi, that has a very good price! But you can also enjoy your trip with relax. In such a case you can choose the shuttle bus, especially if you want to reach the main attractions that city offers!